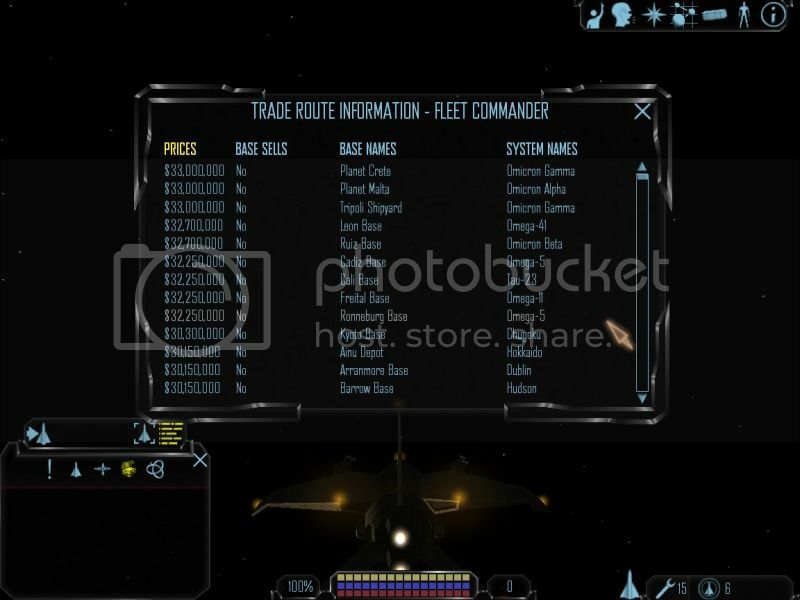 Go ahead and sell your Blue Fish but, this is where the money is...Fleet Commanders. Arr me hearty , And where's did ye bag that sorry son of a gun . What was it Cassius Clay or, Muhammad Ali (as he become to be known once, he became a Muslim) used to say? Stick and move is how they do it in boxing, stick and move. Actually, I have a little secret about how to go about getting this done without a lot of stress in the process. oooooow ye do , do ye matey , well let me tell ye a thing or to , I just got a Battle ship to , And i got loot , Well just some poorly officers . Good going on the Battleship kill. No Commander? Looks temptig. I wonder if those battleships can be taken out with a daggerII? I think Doom might want to try it sometime. but he doesn't have a top notch sheild generator or good armor yet. He doesn't even have the fire-power. the Mk-7 power plant doesn't let you use many heavy guns. I'm sure whne he's better equiped he'll get the fever. They are not as easy as it looks, any of them, no matter what faction but, they are definitely harder than Nomad Battleships. Besides, I have a secret on how I do it and I'm not tellin'. I seriously doubt you will do it in the D. II. I never really had much success with them myself, but I am wondering if they might have a Blind spot, say behind Engines, where a player might avoid being shot up while killing them?? Just remember, they have help so, that would sort of be hard to do. But, that's not how I do it even though, I've done it like that before. Ah HK , some one who speaks from experience , Well as you say you can't hang around out there or you get your but shot of , But i got mine and it does take time , There is a weak spot at the rear , But as HK says you gota move , I didn't have any Torps or heavey missiles , Ah an idea has just come to me , if you have the right kit ? you don't need to worry about the Battleship do you , Just the fighters , I wonder if this idea will work well we will see . Well, I've only tried it that once, lately and haven't been trying all that much. Cost too damned much to have to keep replacing my class 10 shield all the time at 10 mill a pop, not to include repairs. 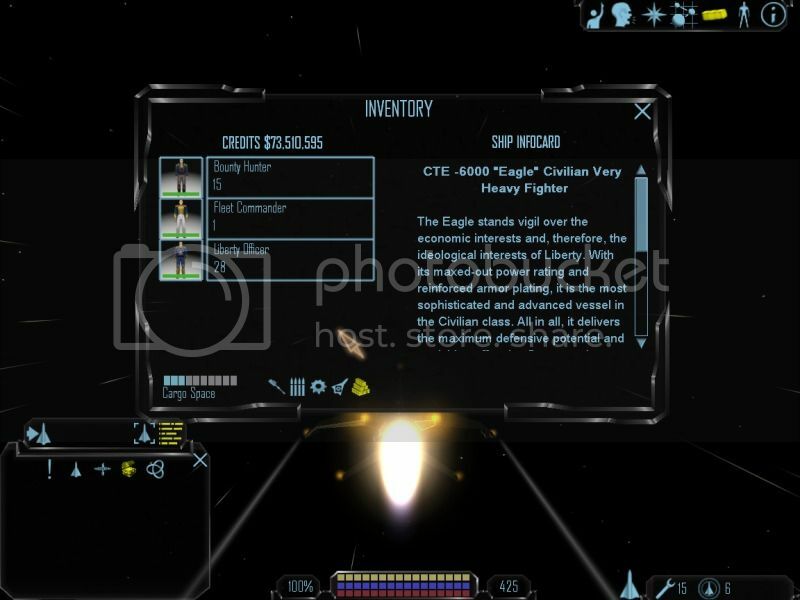 Losing shields is a real possibility when taking on battle fleets. I've lost several of them myself. But now I keep a spare one in my hold because I don't usually dock at a shipyard after the fight. My latest fleet killer has taken down 50 of them already. The last shield I bought cost 185M. I had to run the gauntlet through nomads to get it as well. So I'm hoping to keep that one for a while.